Sailing allows us to travel long distances with relatively low carbon emissions, but the reality is that all yachts burn diesel for motive power and to generate electricity. Conscious of this impact, World Cruising Club has teamed up with local non-profit forestry organisations in both Gran Canaria and Saint Lucia to develop and sponsor a carbon offset project, planting trees where they are most needed, to offset the carbon emissions created during the ARC crossing. 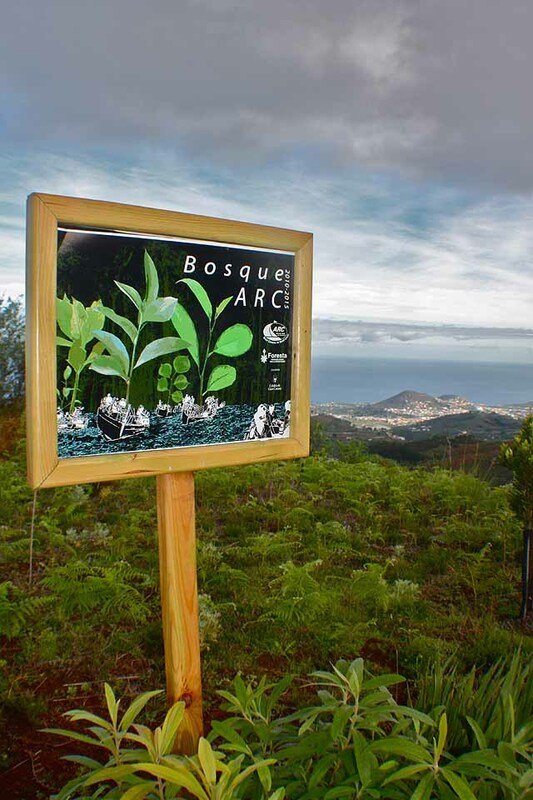 Since 2010, over 1,000 native trees have been planted by ARC volunteers on a deforested site in the mountains above Las Palmas; not only offsetting carbon emissions, but also helping to recreate one of the most threatened eco-systems on Gran Canaria. As part of a five year commitment, paid for by World Cruising Club, the ARC Forest will eventually cover a hectare of land (10,000m2), improving bio-diversity, reducing soil erosion and mitigating flooding. Managing the project is the Canaries based organisation Foresta, ensuring that the small trees planted by ARC crews will grow to become a true sustainable forest, linking areas of historic indigenous woodland to make a “green cordon” around the mountain tops and restoring the native cloud forest eco-system. Each year, the tree-planting day is popular excursion with around 100 sailors taking time out from their Atlantic crossing preparations to learn about the reforestation project, plant more trees, and enjoy a picnic on the mountain side. In 2012, World Cruising Club expanded their environmental commitment by creating the ARC Forest project in Saint Lucia. Working with the Ministry of Agriculture and Forestry and the Saint Lucia Rotary Club, the initiative aims to help preserve the river bank in Dennery, which was badly affected by hurricane flooding two years ago. All the trees planted at the site are mix of species native to Saint Lucia and crop trees producing spices, limes and walnuts that will benefit the local community. The trees are sponsored by World Cruising Club and ARC sailors have the chance to see a different side of the island, away from the tourist resorts of the North. In an area prone to seasonal hurricanes, reforestation can have a significant impact on the economy and livelihoods of local communities, reducing the risk of devastating floods and landslips. ARC participants can donate to the reforesting projects with a suggested value per litre of diesel fuel carried aboard. Advice is given to each crew for the best way to calculate their carbon emissions generated by a tank of diesel and offset this against the number of trees planted. The funds raised go exclusively towards future sponsored days to help plant more trees in the ARC Forest. So far the scheme has raised over $2,000 for the on-going development of the ARC Forest projects, as well as increased awareness amongst thousands of sailors to consider their duty to preserve the environment. Planting the ARC Forests is the first step towards making sailing rallies carbon neutral, and a great way to think about our own personal impact on the planet. World Cruising Club is involved with promotions of environmental and science projects around the world. Sailors voyaging long distances enjoy the interaction with communities in far off places, whose values and way of life can seem idyllic to us. However, the realities of life in small remote communities if often one of subsistence and struggle. Visiting sailors can make a direct contribution to such communities helping people to develop and build lives with dignity and respect. Often just the extra income generated by spending money in local shops, purchasing food, crafts or services provides a significant boost to incomes. World Cruising Club has worked with several remote communities in the Pacific to sponsor projects that have a lasting impact beyond the visit of our rallies. In Niue, additional yacht moorings were purchased and given to the community providing a source of income, and improving access for other visiting yachts. 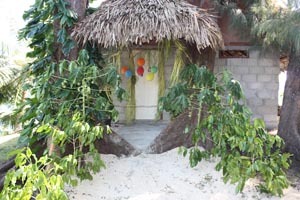 On the remote island of Tana, part of the Vanuatu group, low-impact tourism has been promoted via the sponsorship of guest accommodation built from local resources within the village of Port Resolution. Visitors to the active volcano of Mount Yasur, can now stay in the nearby village, adding cash directly into the local economy. Cash that is vital for school fees and development projects improving the lives of many.